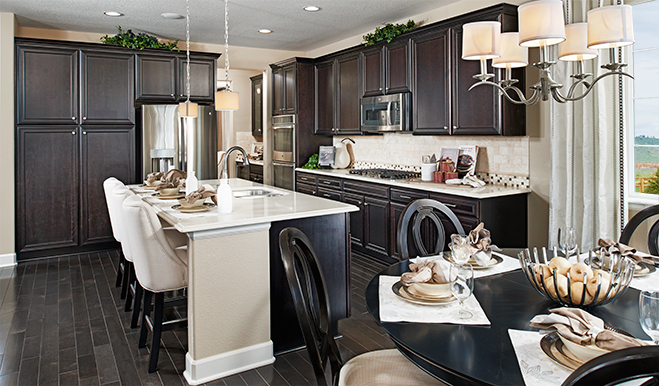 That’s the beauty of a model home: envisioning how a new place will fit your life. 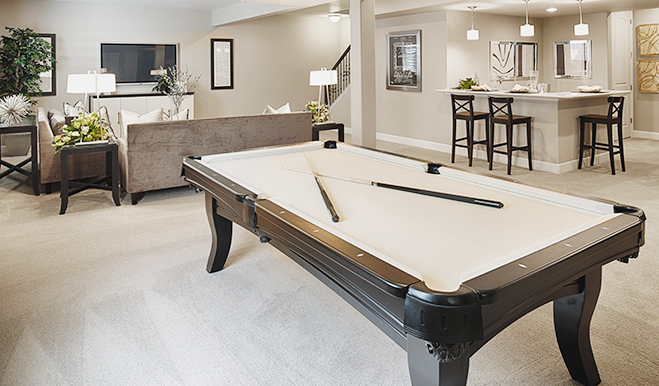 Floor plans and brochures are a smart place to start, but seeing a built, beautifully furnished home somehow makes it all real. 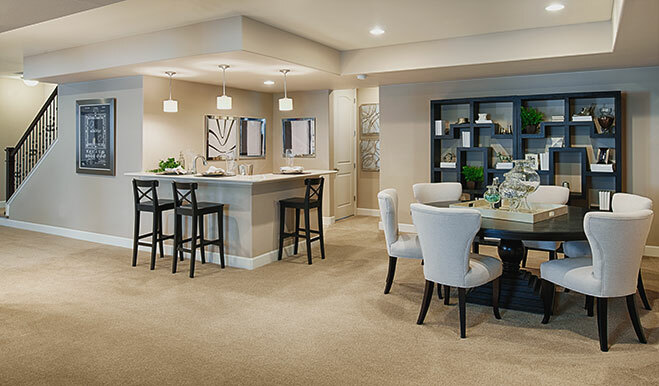 With furniture in place, you can imagine how yours will fit. 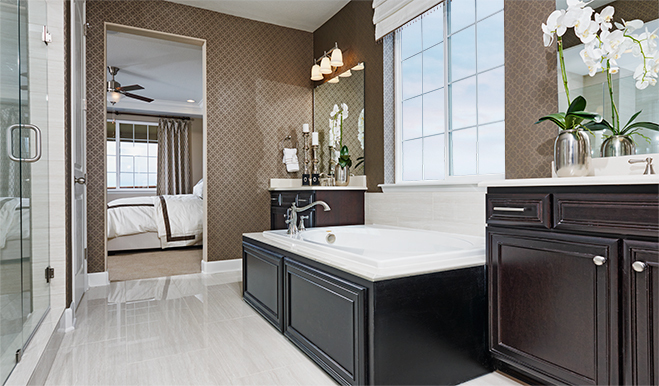 And perhaps be inspired by the professional interior design to try a few new things. 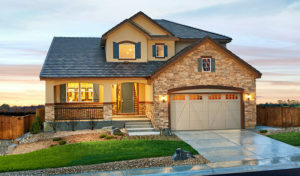 At Stepping Stone, you can tour model homes by two builders, Shea Homes and Richmond American Homes. Richmond’s model of the Cynthia plan will start you daydreaming as soon as you walk up to its handsome stone and stucco exterior. 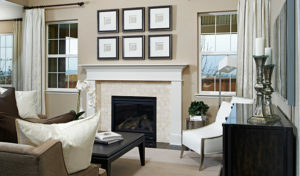 A grand, two-story entrance greets you with fresh and up-to-date décor in a palette of creamy neutrals. Immediately on the left is the study, tucked away from the family’s activities. 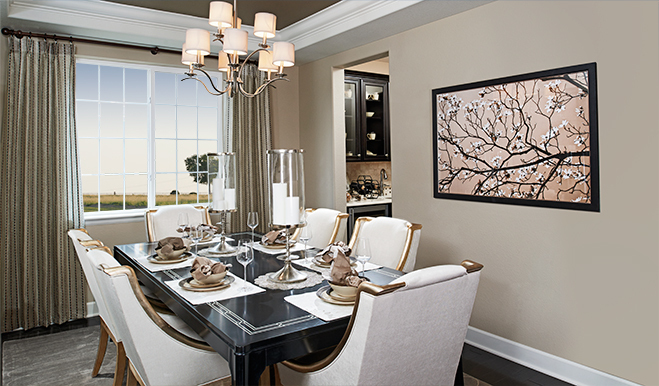 Next, a formal dining room creates a special, festive atmosphere for entertaining friends and family. The heart of the home, the great room, is welcoming and comfortable with its easy sense of connection to the kitchen. A handsome fireplace gives the room an elegant focal point. The spacious kitchen with island connects to both a breakfast nook and butler’s pantry—which leads into the dining room. Convenient main floor living includes a master bedroom, bathroom, and laundry room. Upstairs you’ll find two large bedrooms and a roomy loft that can be converted to a fourth bedroom. Another option: a finished basement with room for games, media, snacks, and beverages. 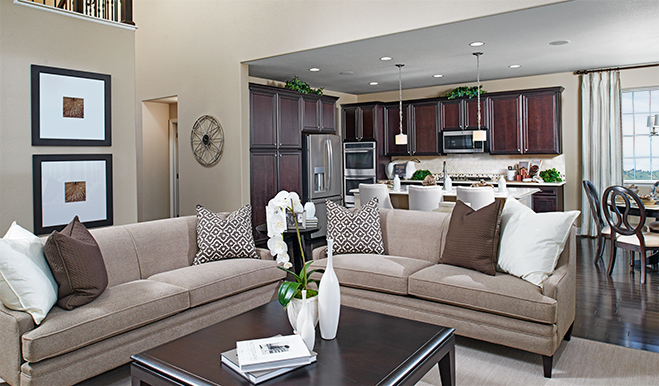 The Cynthia offers approximately 2,783 square feet, 3 bedrooms, and 2.5 bathrooms for sized-right living. And it’s all priced from the mid-$400s. Learn more here.